Many people come to Caherciveen for this trip of a life time. 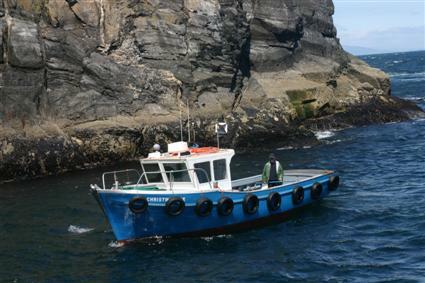 Boat trips are made daily and you may land on the Skelligs weather permitting. The archaeoligical remains of the Skelligs, perfectly preserved Beehive huts, and Oratory, are part of an austere monastic settlement perched on the sheer side of a Rock 715 feet above the Atlantic. The Skelligs are a haven for bird watchers. Puffins in their hundreds perch on the Skelligs and leave in Mid August. Kittiwakes and terns also perch on the Skelligs. 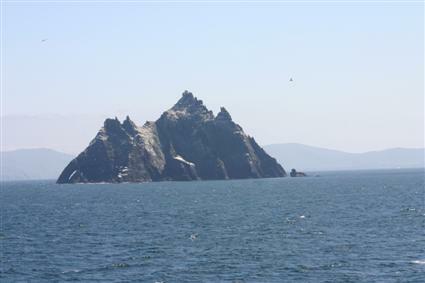 The small Skellig Rock has the second largest gannet colony in the world. 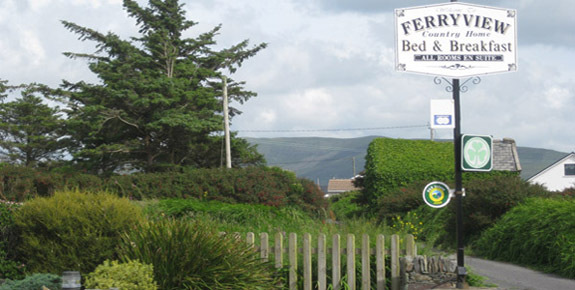 Ideal accommodation for your boat trips to the skelligs. Skellig boat tour arranged for you. Please contact us in advance if you wish to go to the Skelligs as sometimes it can be very busy. Pickup from the B&B to the Skellig tours departure point provided to those without cars free of charge. Angling is a favourite pastime for locals and visitors alike. The European Sea Angling Competition was held in Caherciveen in 2001. The Gulf Stream waters around Caherciveen are renowned for fishing and competitions are held annually. The waters around Caherciveen have the best coldwater diving sites in Europe. Boat hire can be arranged for Fishing Groups on request. 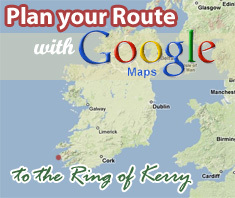 Visit www.skelligislands.com for information about the skelligs rock, history, wildlife and tour details.